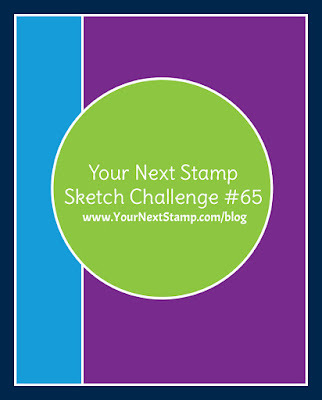 It's Friday and time for another sketch and color challenge over on the YNS Challenge blog. This is a simple sketch that allows for that favorite image to be showcased and even simple for those masculine cards we sometimes have a hard time doing. I started with a white card stock base, layering it with some kraft card stock and some patterned paper I have had from SU for years. The image was colored with Copics and cut out using the YNS Circles die set and Stitching Marks set and popped up. It was completed by stamping the sentiment directly onto the paper and finished some Milk and Cookies Matte gumdrops. Be sure to check out the other DT member's project on the blog and hope you will play along! Have a great day! Perfect use of the sketch Deborah.